Trail Riders had a Goal! 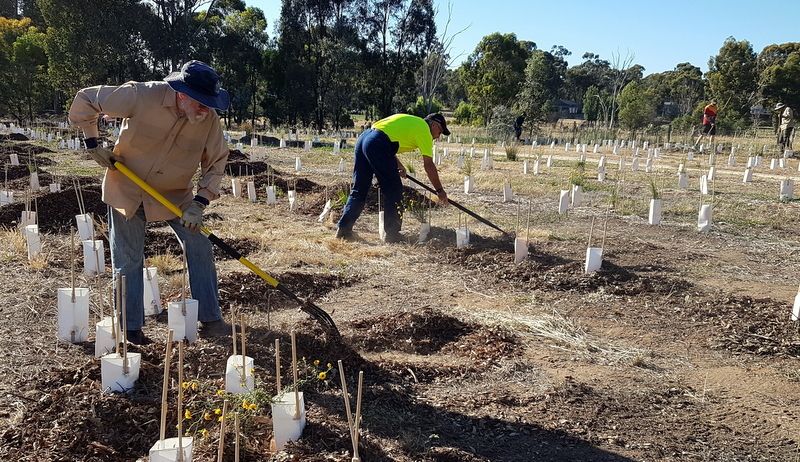 It was just after sunrise that some volunteers began mulching around new plants along a section of the O’Keefe Rail Trail, so as to beat working in the heat of the day. These were members of the Longlea and District Landcare plus Friends of the Bendigo-Kilmore Rail Trail, all helping to restore a section of the trail’s natural environment in Junortoun. 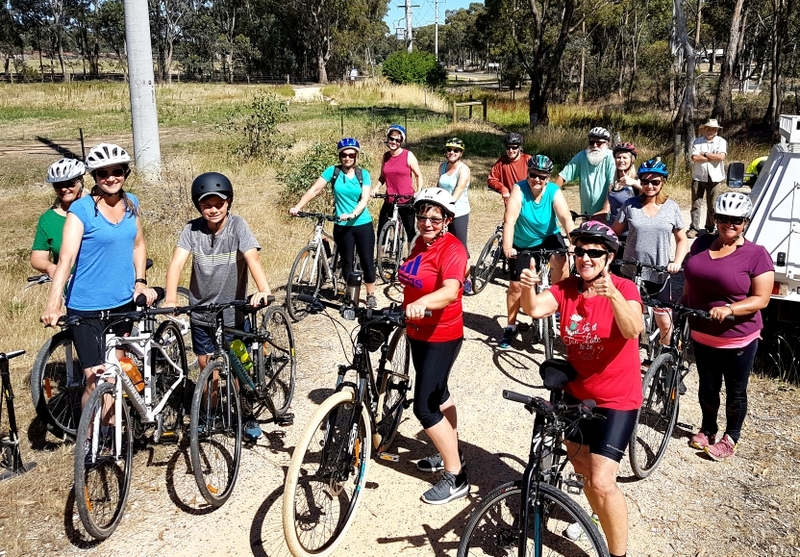 Just as this work was nearing completion, a cycling group of mainly female members from a Bridgewater and Newbridge ‘spin class’ were assembling on the O’Keefe Rail Trail. The group had travelled to Bendigo for this planned outing, ‘escaping’ their usual gym class room. Of course as well as enjoying the social company, there had to be a goal for those involved, and this may not have been just to complete the round trip of about 30kms. Apparently the attraction for some was the mid-point lunch booking, at the Axedale Tavern! Restoring a natural environment, improved a community’s health and wellbeing, and adding benefits to the local economy were just some of the day’s outcomes on the O’Keefe Rail Trail.